Samsung has shown off its new curved gaming monitors at E3, we first saw these monitors back at CES in January. 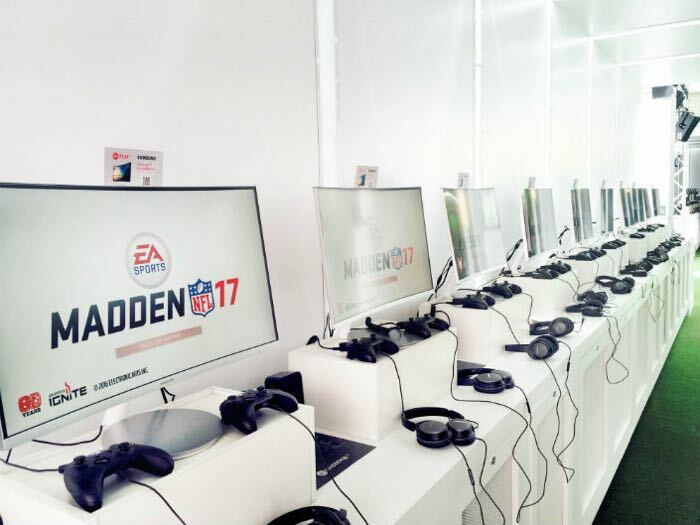 The company has teamed up with EA at this years E3 and their curved gaming monitors are being used to preview a number of new games from Electronic Arts. In entering the gaming market, Samsung also aims to deliver a smoother gaming experience that maintains viewers’ attention. Each of Samsung’s curved gaming monitors is supported by AMD FreeSync™ Technology Over HDMI®, which synchronizes screen refresh rates with users’ AMD graphics card frame rates to reduce input latency, stutter and lag. You can find out more details about Samsung’s latest curved gaming monitors over at their website at the link below.